Analyze SAP CRM processes and functions in the marketing, sales and service area and the various interaction channels. 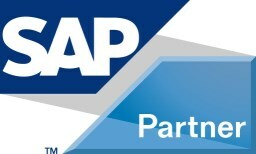 SAP ERP as well as non-SAP Customers and decision makers considering an implementation of SAP CRM. The course is structured using a case study of the functional and channel-oriented key areas and scenarios in SAP CRM. The course includes demonstrations and exercises in the system. This course is an introduction to SAP CRM, it does not explain how to set up (Customize) the scenarios that are shown.